PBS announced that the Webby Award-nominated PBS Online Film Festival will return for a fourth year June 15 - July 17, 2015, and will feature 25 short-form independent films from POV and a broad spectrum of public media stations and partners. 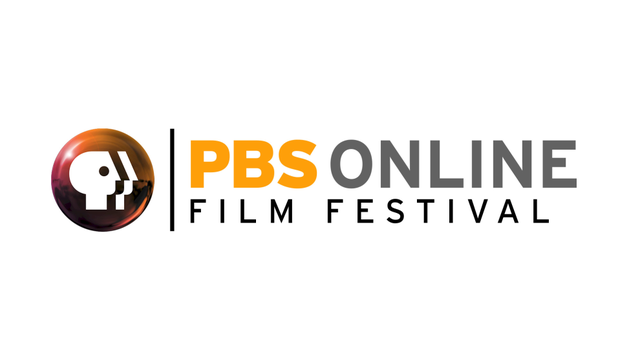 The PBS Online Film Festival is part of a recently announced, multi-platform strategy to increase the reach and visibility of independent film on PBS and its member stations. The strategy will draw on strategic scheduling, digital content and distribution, social media and marketing to shine an even brighter spotlight on this important mission-focused content. Starting today, Roku® customers will have exclusive early access to the PBS Online Film Festival for one-week via the PBS channel on Roku players and Roku TV™ models. Beginning June 15, the Festival will be available via PBS and station digital platforms including PBS.org, YouTube and PBS social media channels. This year’s line up features films from the Center for Asian American Media (CAAM), Latino Public Broadcasting (LPB), National Black Programming Consortium, Pacific Islanders in Communications (PIC), POV, StoryCorps and Vision Maker Media, as well as PBS local member stations including Alaska Public Media, CET/ThinkTV (Cincinnati/Dayton), KLRU-TV Austin PBS, KQED (San Francisco), Louisiana Public Broadcasting, Twin Cities Public Television, UNC-TV and Vermont PBS. Promotional partners for the PBS Online Film Festival include Independent Lens and World Channel. The PBS Online Film Festival showcases powerful and engaging stories from filmmakers across the country. The Festival has become a popular annual online event; last year it attracted more than 350,000 streams and 50,000 votes cast for the winner, as well as a nomination in the 2015 Webby Awards category for Online Film & Video: Variety (Channel). Viewers are encouraged to vote for their favorite film to win the “People’s Choice” award. For updates on the festival, follow #PBSolff on Twitter. After surviving cancer, Pudge Kleinkauf decided to spend her life doing what she loves: fly fishing. Follow Haliehana Stepetin, a master Alaska Native dancer born in Akutan, AK. In the year 2021, India is on the verge of colonizing a new homeworld, but their advance team of astronauts remains suspended above the planet caring for their ailing captain and become the only hope for a fresh start. A newlywed husband who has recently lost his wife in a tragic car accident experiences a dark turn of events that teaches him the power of sacrifice. A romantic comedy screenwriter needs to deliver a dark thriller if she wants to keep her job. After 20 years, filmmaker John Moore uses home movies, animation, and live action footage to recall and recreate his childhood struggles with Obsessive Compulsive Disorder. A helpless mother takes her ill daughter on a pilgrimage to the Huichol Mountains for the festival of Saint Francis. Through humble restraint, an Indian man strives to achieve his goal of seeing his twin brother after fifty four years of separation. Three South Korean college boys head to Florida for spring break. An indigenous Harvard grad pioneers Spanish- and Mixtec-language radio programming in the U.S.
A couple’s relationship is in jeopardy due to a successful crowdfunded venture. A young man wakes up only to find his condition has gotten the best of him. Again. Civil rights activist Bayard Rustin spends a day in a Southern town's diner right before a march with Dr. King. One of Hawaiʻi's last pristine shorelines is about to be turned into a large resort, and group of close friends, The Fishing Club, are determined to stop it. Against the Garzweiler II coal pit, Brothers Helmut and Joachim Meier run the nursery they built 30 years ago until the very end. This experimental film takes an in-depth look at a life with no depth perception as it follows Evan Smith, a man who lost his left eye many years ago. Allen Hoe tells the story of a chance encounter with a stranger who knew his son, Army 1st Lt. Nainoa K. Hoe, who died in Iraq. Follow a group of photographers as they attempt to capture the elusive Northern Lights. Take a peek behind-the-scenes at the Minnesota State Fair to see how intricate seed art is made. An immigrant butcher reveals how freedom is tied to convenience on the eve of July 4th. A WWII pilot hanging helplessly from his tangled parachute is discovered by orphaned children. Leah and Chayse confess their true feelings in the school library while an unknown malice lurks nearby. "Isabelle's Garden" is an uplifting story of a community coming together in reciprocity, through the hopes and dreams of a young, Choctaw girl and her garden. A love story about two sheets of paper who meet in a recycle bin.